 Vintage Food Trucks is your one stop shop for a mobile catering business. 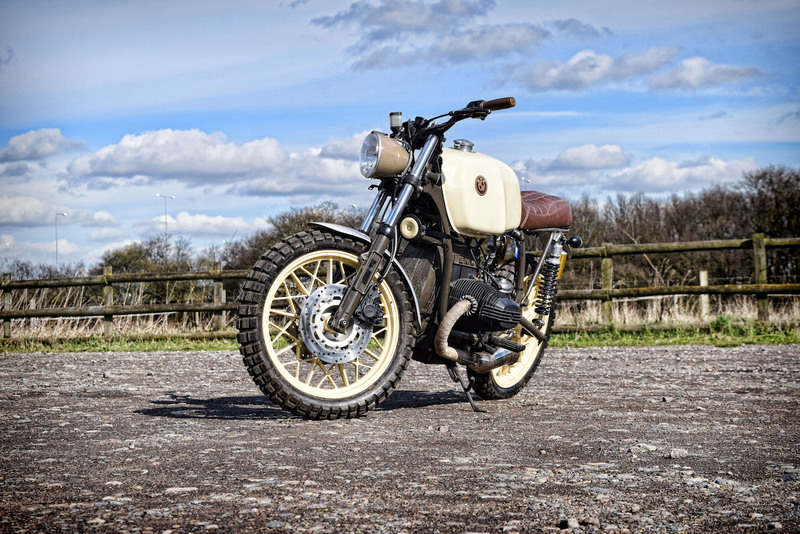 We find and hand-pick unique vintage vehicles that will suite your requirements. 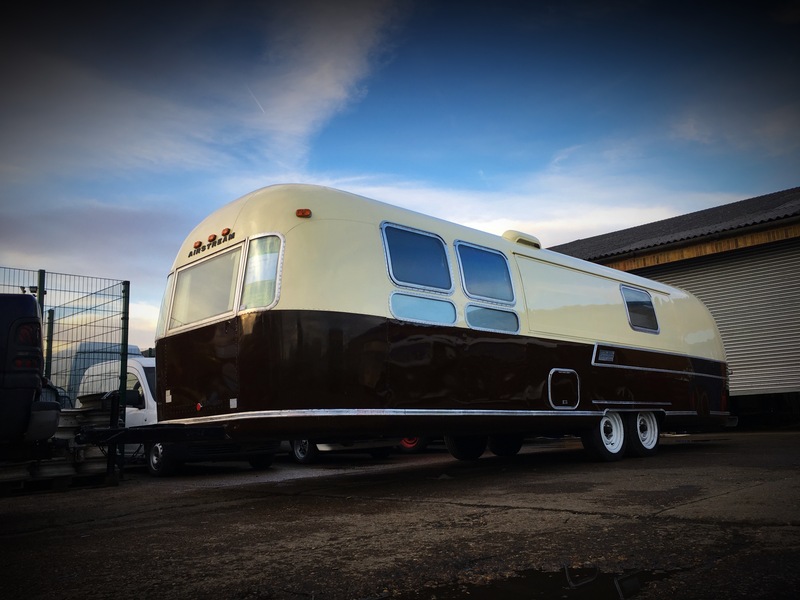 Our extensive restoration process will transform a piece of rust into a polished diamond, which will, last but not least, be fitted with the top of the line kitchen facility. Read below for more details of our project cycle. 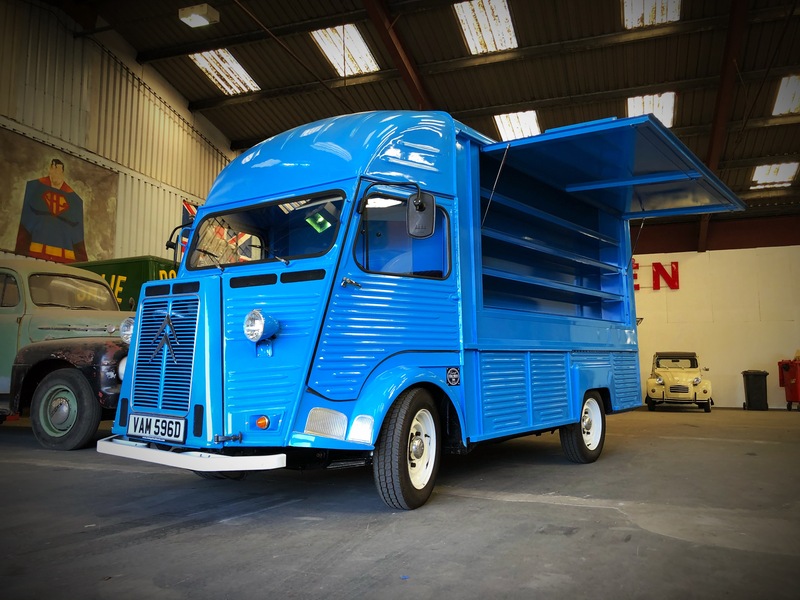 Within our UK premises we store over 40 vehicles at any given day from American step vans, American airstream trailers, American school buses, American pick ups, British Bedford vans and Land Rovers, Italian Piaggio Ape, French Citroen HY vans in all sizes and forms, French Citroen 2cv, French Renault Estafette, French Peugeot J7, VW combi vans and vintage motorcycles. No need to look online or get lost looking around the country, we have it all under one roof. This is our business signature. The rusty old van that no one wanted will go through our extensive restoration process and be given a second life. It is the most important part of the future mobile business, as you cannot operate a successful kitchen in a deteriorating structure. We believe that the devil is in the details and restoring vintage vehicles is a job for specialists. 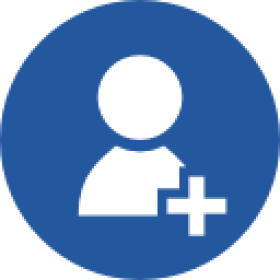 We have a team of the very best who will meet the challenge of any project. Having worked our own food trucks we understand life on the inside of the truck. We have been in the extreme pressured situations with queues of hungry customers. So every truck we build we draw upon our own experience to give you the best work flow to manage the practicality, functionality and workability. This is one of the most valuable services we can give you as the best catering equipment brands will not make the best food trucks. Although we do not undertake transportation we will assist you in finding the right transportation mode and company. With our extensive network we can suggest different transport agencies that we have worked with over the years, which are familiar with the product and procedure of this transportation to ensure you benefit from the best possible rates. 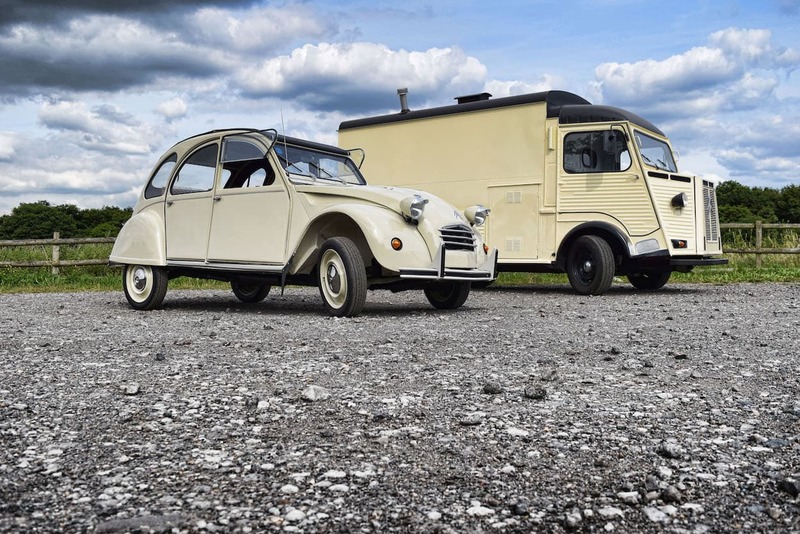 "WHY CHOOSE A VINTAGE FOOD TRUCK "
These vehicles were more than just a sum of parts. 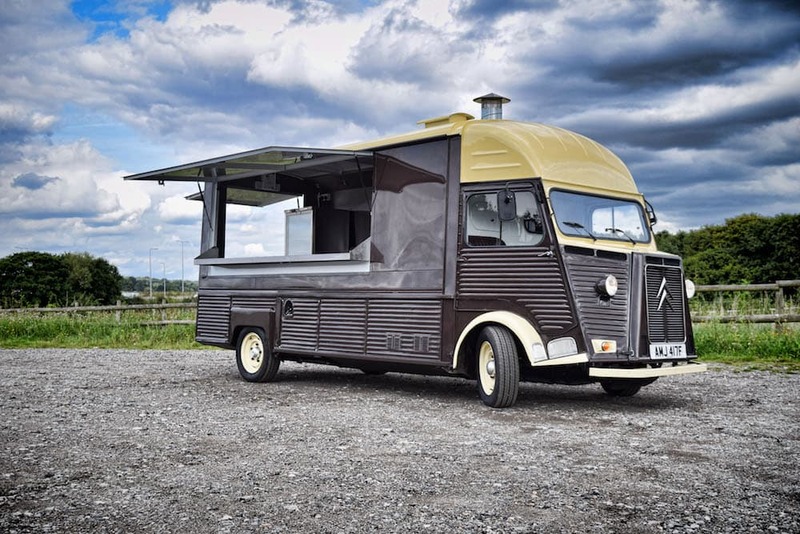 Here at Vintage Food Trucks we base our selves in a diverse range of products to bring creative ideas and unique touches to your business. We’re not only about food trucks. 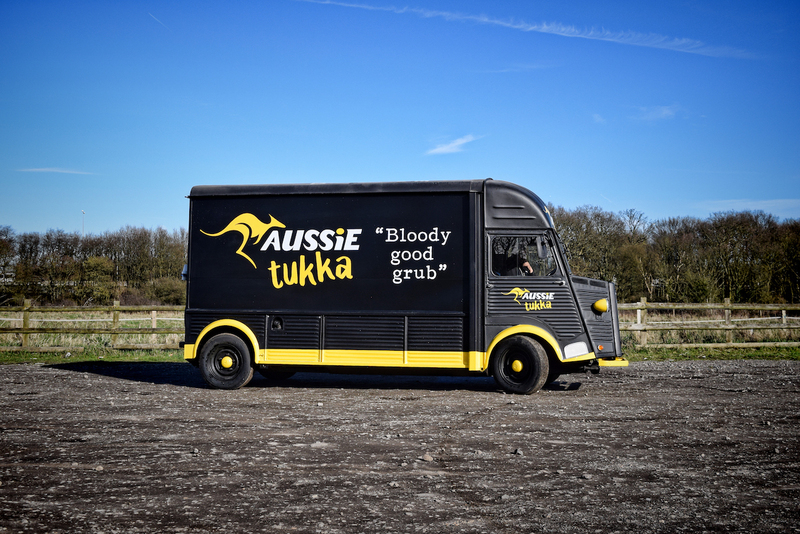 There is a truck for every occasion so regardless of a small or large budget we can find, build and design your unique mobile catering business. Food trailers comes in many different styles and generally are more affordable than food trucks and of course without the engine there is low maintenance as well as less licensing. 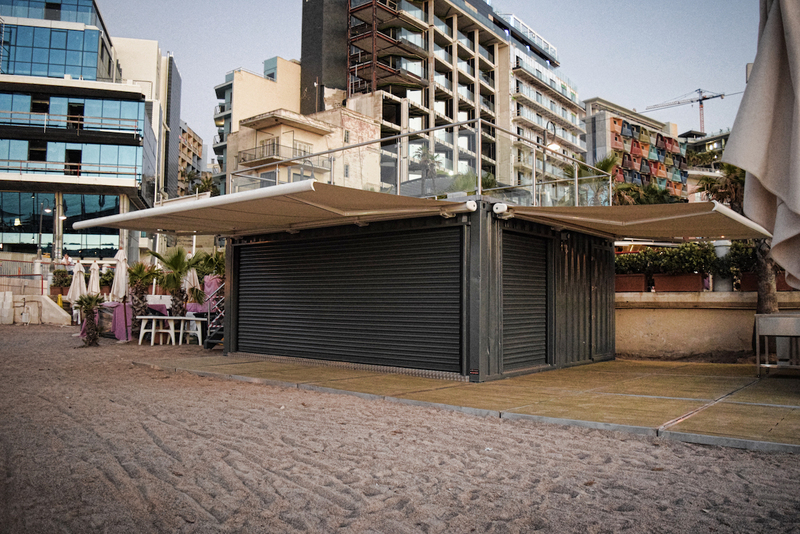 Containers or tailor-made pop up structures are one of the most budget friendly options to launch your business idea. In the past couple of years the trend has swung to late 1970s and early 1980s R series BMWs with their hideously bulbous boxer engines featuring prominently. We are a global business and getting our products to your country is not a problem! We work with some of the biggest brands, delivering the most exclusive food trucks in the world! Our brand development and motivation is built from people’s feedback and success. We have received the food trucks at our premises this afternoon and they look gorgeous! Fine piece of work – just like how we thought it’d be from the pictures we’ve seen ! 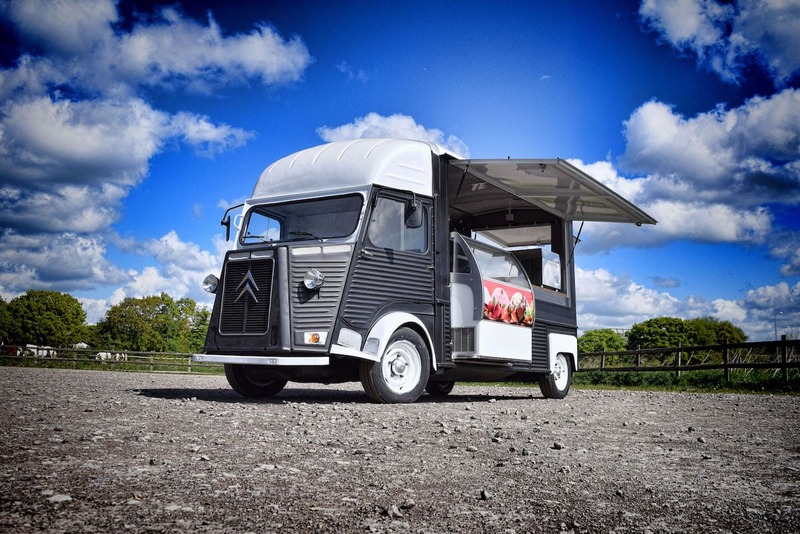 We bought a Citroën HY from Vintage Food Trucks. When we got the Van to Denmark we had some issues with the Van. 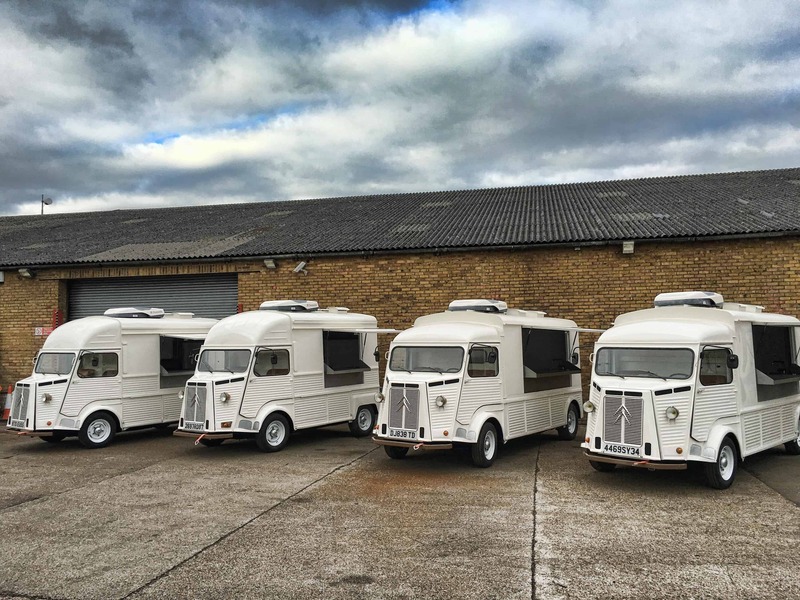 After testing some different things with no luck, Vintage Food Trucks sent two of their mechanics from UK to Denmark to test and fix the Van. They replaced a dirty fuel filter and installed a new Coil. Problem solved!!! They are always helpful when you need them. Thanks a lot. This is just to say a huge thank you for accommodating our H Van with very short notice, in fact it feels we had a new van after spending only 48 hours with you. Hicham, Douglas and all your team worked very hard to get the van back to us in time for an event last Saturday. You made us, especially Joao (our driver) and many of our customers very happy. 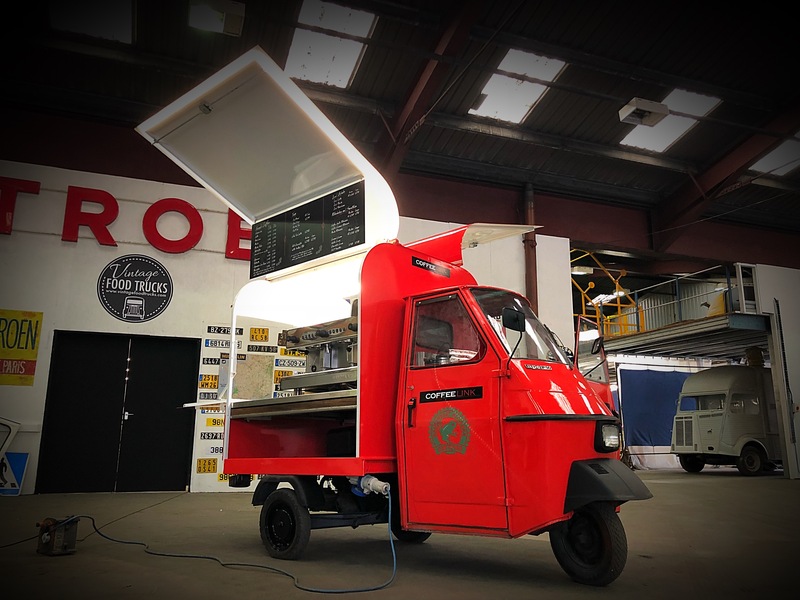 I know where our next classic coffee truck is coming from. I am very happy with the renovation vintage food trucks preformed on my food truck. I had a terrible time the first attempted at restoring with another company. Vintage food trucks not only fixed that problem but made it so many times better than I could have expected. On the 19th of every month Vintage Food Trucks sponsors 1100 delicious hot meals to feed the most needy people in London. 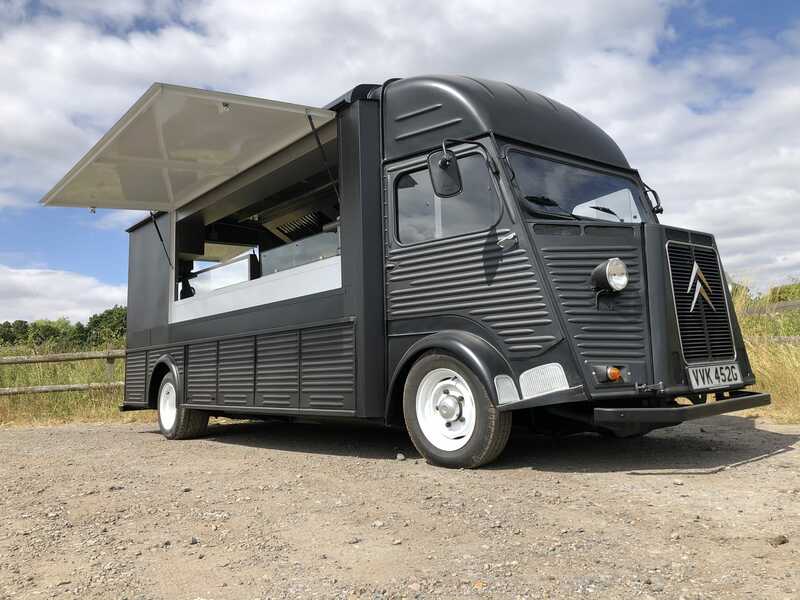 Vintage Food Trucks works together with Food For All charity organisation. Unlike other food distribution services, FFA is based on the philosophy of community self-help and is geared towards enabling homeless people to learn new skills. FFA is committed to tackling homelessness and social exclusion by helping people to make informed choices and find solutions to their problems. Every day 1100 healthy meals are cooked and distributed in 5 locations around London to homeless, disadvantaged and struggling students. The ingredients are donated by local supermarkets and short dated products. 10 tonnes of food are diverted from going into landfills every week. In this way we do our part to tackle food waste, help the environment and increase the health of London’s most marginalised communities. Homelessness in London has increased by 20% in the last year and at the same time, due to recession, London councils have cut the funding to most of the day centres which were already grossly inadequate. Vintage Food Trucks clients are now part of the donation as we have reduced our margins by allocating a percentage of the sales. This contribution has enabled Vintage Food Trucks to not only build a food truck for FFA to facilitate the logistics of their projects but also contribute towards more commercial kitchens to grow their network. A lighter foot print for heavy industry! We believe in doing your part and as one of the largest food truck companies in the world, Vintage Food Trucks is trying to lead by example. Last year we launched a project called “Food Trucks For Life” with two main goals. 1, to reduce emissions related to its operations by not selling diesel vehicles, investing in development of electric motors as well as Ford modern engine conversion, use renewable energy at our facilities and use recycled and returnable packaging solutions in our supply chain and urging our suppliers to do the same. 2, invest in Life Skills Programs to help people develop skills to continue the craftsmanship in the recycling and restoration of these often wasted but beautiful vehicles. You will find bellow some the answer to some questions you may have. Don’t worry if you don’t find the answers you’re looking for, just drop us a line and we will be happy to answer. Do you have any food trucks for sale? We work mostly with custom built food truck projects, however, we also have 2nd hand catering vans available. How do I commission/ order a Food Truck? How long will it take to build the food truck? Depending on the scope of your project and our existing production queue it will take from 3-6 months, starting from receipt of the 50% deposit. Do I come up with the kitchen spec and design? 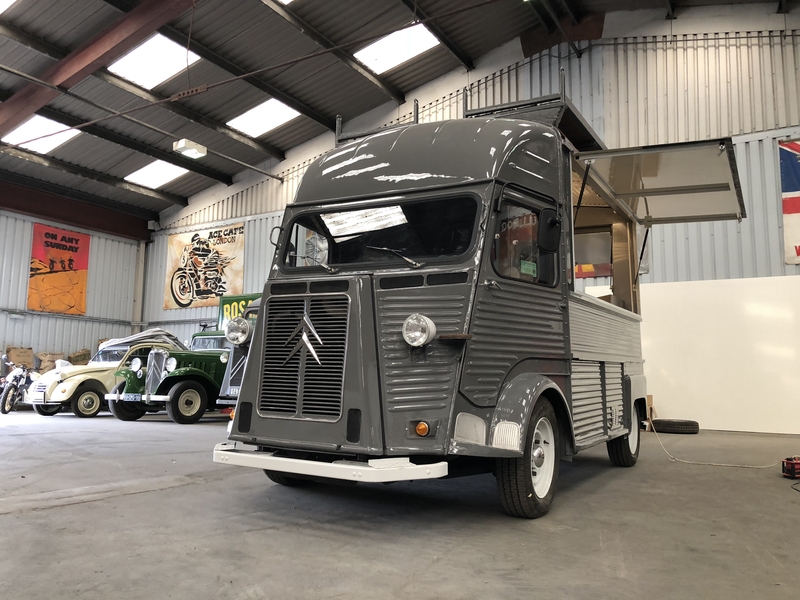 You are welcome to choose your own colour scheme and specifications based on previous builds, as professional custom food trucks builders we use our expertise and experience to create your perfect food truck. What does the price of your Food Trucks include? 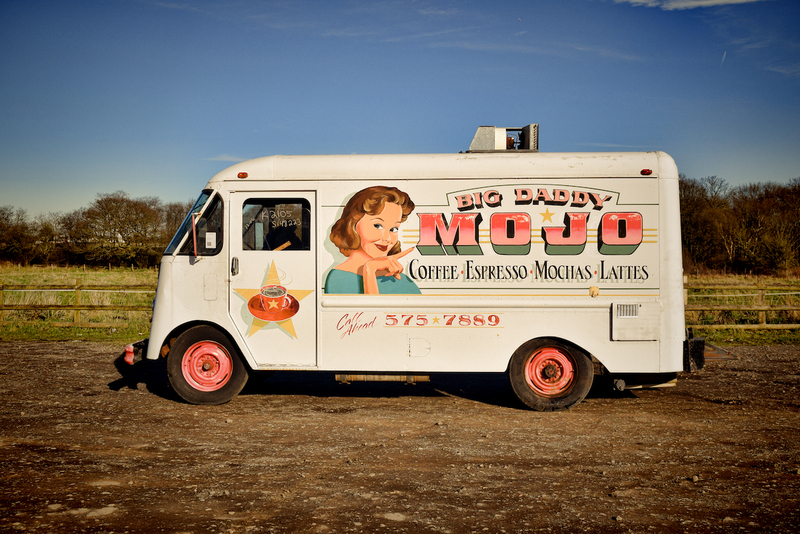 Vintage Food Trucks offer an exceptional package and service on the market. When you make contact with us by email we will send you a detailed price list of our products and services. Can I supply the vehicle? 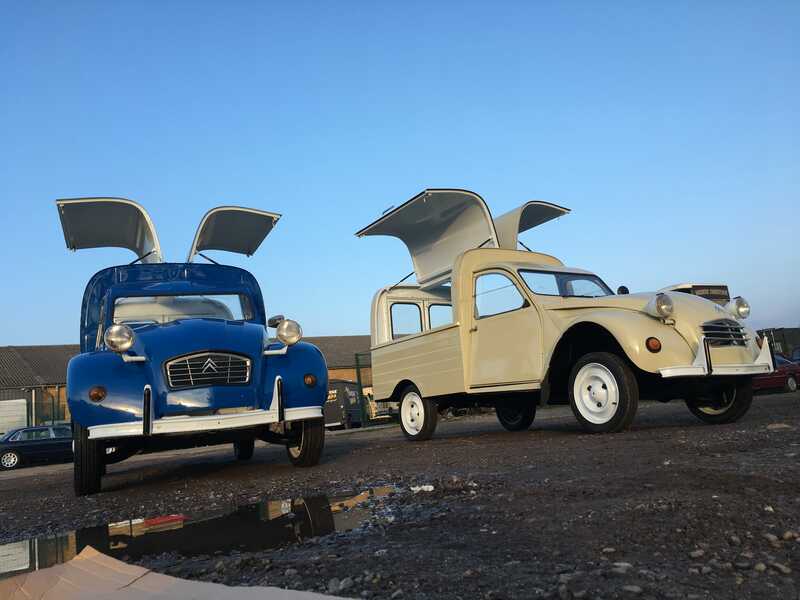 We have a large stock of very well sourced Citroën HY and classic car donor vehicles so you do not need to supply the van, however you are welcome to provide your own van if you wish. Could I save money if I supply the vehicle? The bulk cost of our bespoke vans comes from the parts and labour as our vans are ground up rebuilds so the money you save will be minimal. 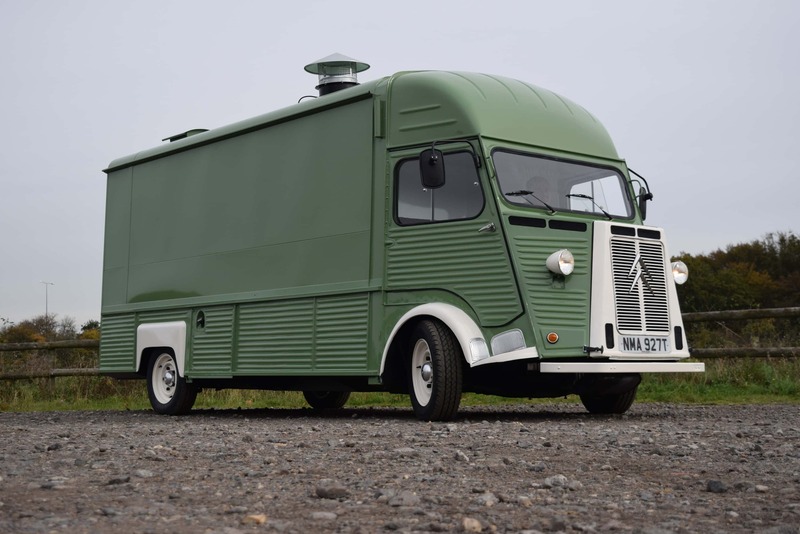 Do I have to visit Vintage Food Trucks to order a food truck? Although we are happy for you to visit us, it is not necessary. The ordering process can be dealt with via email and/or telephone for your convenience. What do Vintage Food Trucks do during a rebuild? The van will undergo a complete ground up restoration including overhaul of engine and transmission. 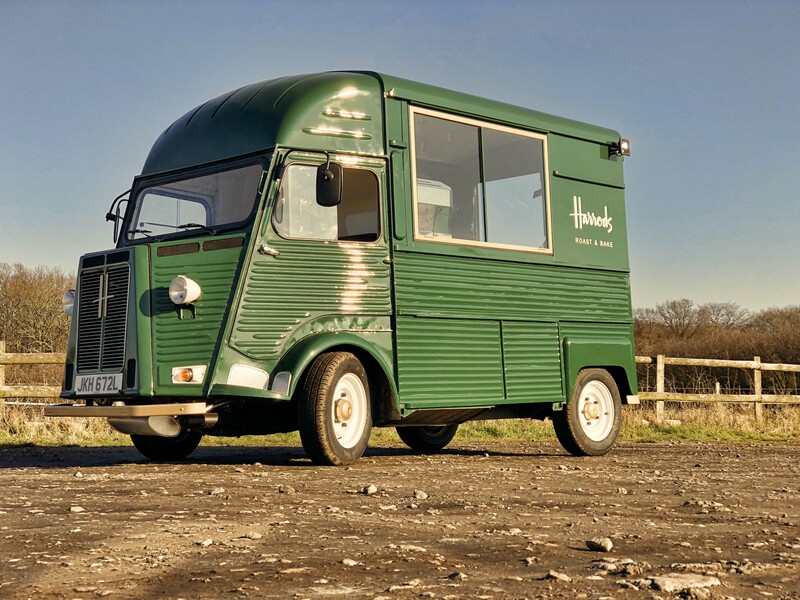 Do Vintage Food Trucks carry out any work on vans other than Hvans and 2cv models between 1950-1981? We specialise in these models as they carry a huge stock of compatible custom, new and used parts. 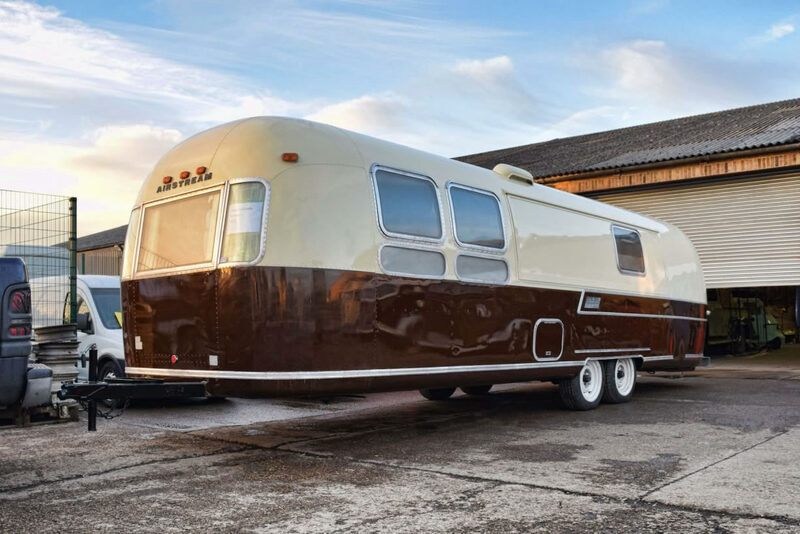 We also stock and restore American step vans, American vintage Airstream trailers, American school buses,American pick ups, British Bedford vans and Land rovers, Italian Piaggio Ape, French Citroen Hy vans in all sizes and forms, French Citroen 2cv, French Renault Estafette, French Peugeot J7, VW Combi vans and Vintage Motorcycles. What are these classic vans like to service and how easy is it to get parts for them? Servicing work is very basic and most garage shops can carry out work on our vans. Parts are readily available from us or specialist parts suppliers. Can i supply my own catering equipment? Due to the nature of our business, we have to use standard equipment, so we’re sorry, but we do not accept client’s own equipment. Are Vintage Food Trucks performance-enhanced? Our vans offer a standard performance although they are a lot better than in their original form. We can also carry out performance modifications by introducing a modern diesel engine transplant with modern disk brakes and power steering at an extra cost so please ask us if this is something you are interested in. Can I see how you are getting on with my van during the rebuild? If requested, We can send you photos of your van’s progress. 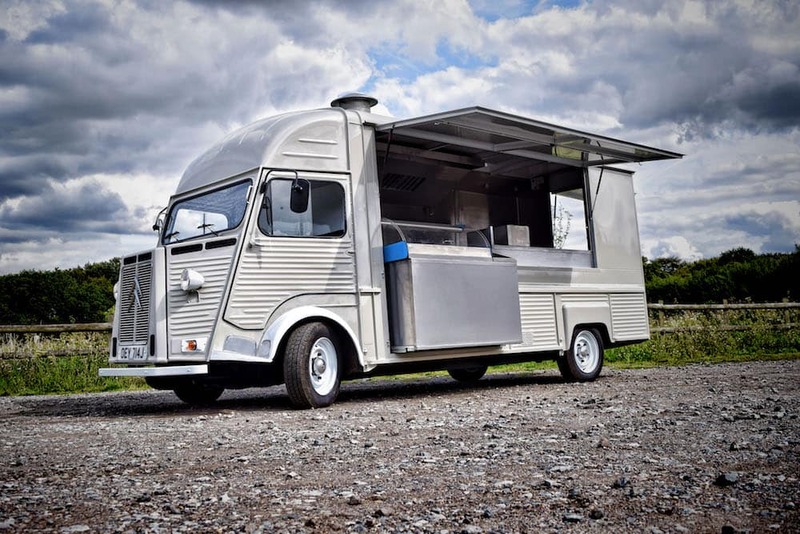 Are Vintage Food Trucks road legal in the United Kingdom? Our vans are built to European road legal standards. They are all supplied with appropriate original registration documentation and a MOT clear certificate. 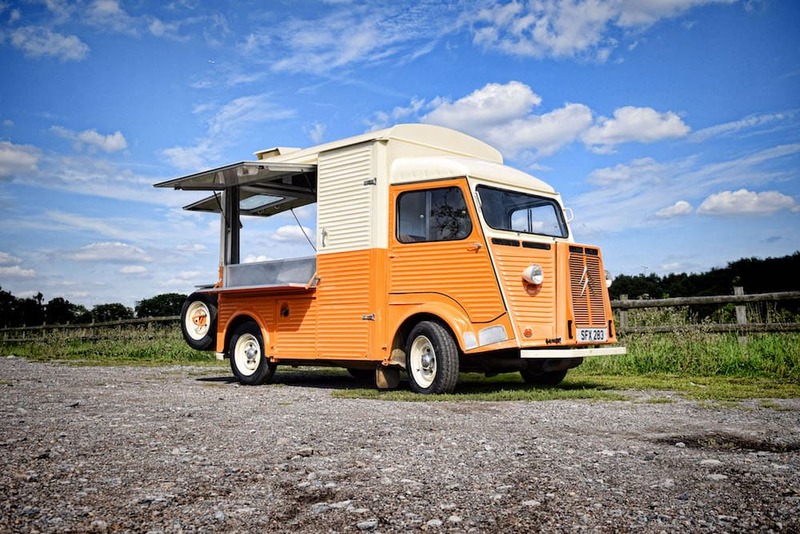 Are Vintage Food Trucks street legal in any country other than the UK? We can’t be held responsible for the road legal requirements of other countries due to logistics and language barriers. We so far have supplied vans as far as Brazil.“Special country requirements approvals are the responsibility of the purchaser!”please ask if we have supplied your countries before going to deep into it. 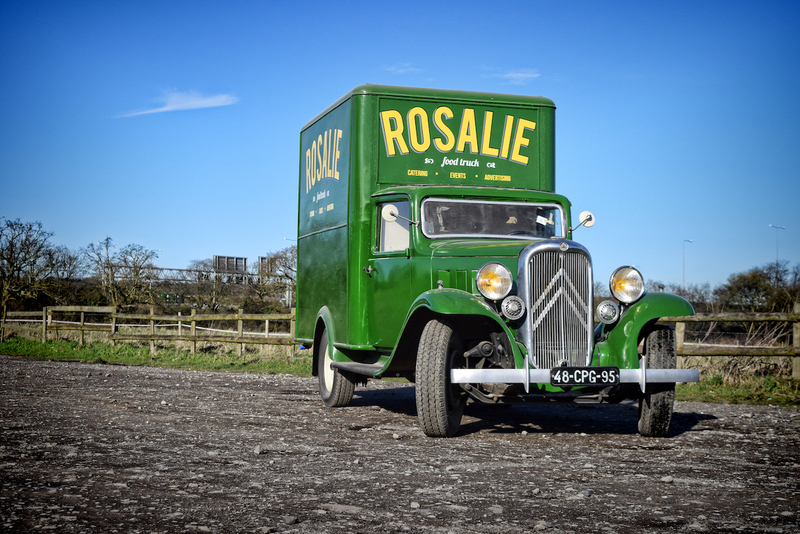 Can Vintage Food Trucks deliver anywhere in the world? Your food truck must be paid for in full before we release it from our premises. All vans remain the property of Vintage Food Trucks until paid for in full. How do I pay for my Food Truck? 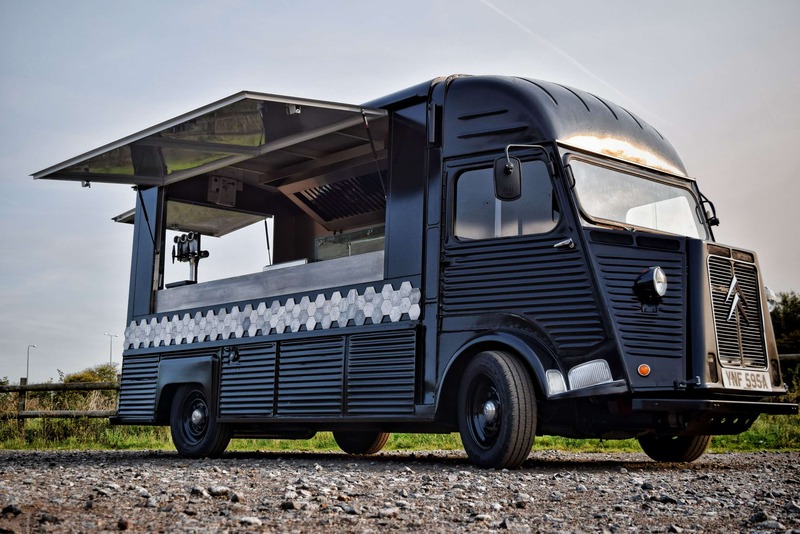 How much does a bespoke Food Truck cost? Prices vary depending on the model, size and specifications required. Please call or email us to discuss pricing. Can I visit Vintage Food Trucks Showroom? Yes, you can, but we are very busy, so visits are by appointment only. I am thinking of converting an old van myself, can you give me any advice? As a business we have our own tricks and way of working, so we cannot share our trade secrets or give personal advises for non-customers. 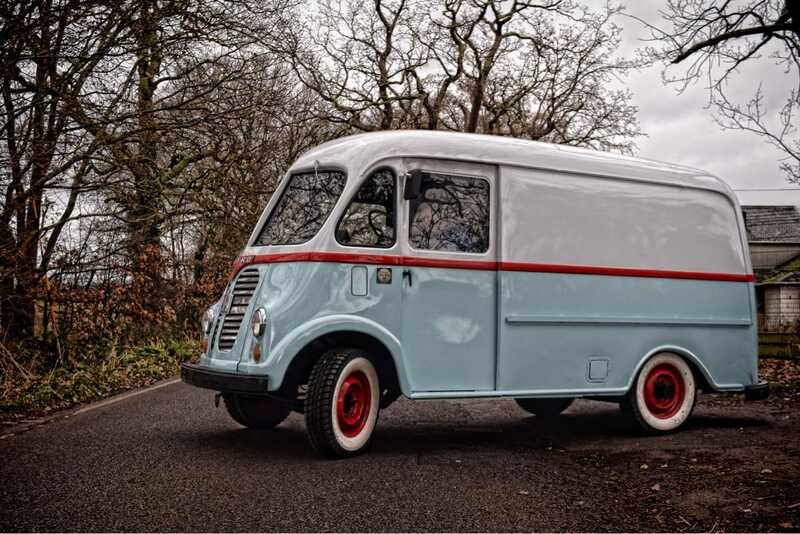 Can Vintage Food Trucks sell parts for me to carry out my own conversion? Due to exclusivity of our Stock and vans we prefer to reserve parts to our existing clients only. We love to share our projects, follow our social media and stay up to dated.we are waiting for you!